Nautical advertising employed the new design esthetic of the 1920s and 1930s but not to the same extent as the airline industry. 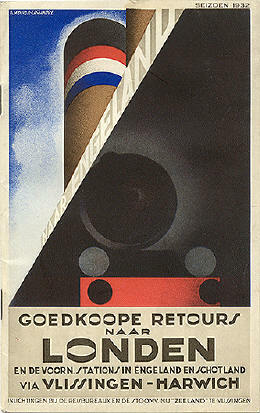 "Goedkoope Retours Naar Londen," 1932. By A. M. Cassandre."